Taking a moment. @ 2014 Avid Travel Media Inc.
A few days ago, I wrote about The Most Magical Of All Places, Neko Harbor. It would be hard to imagine a more picturesque setting or a more serene one. 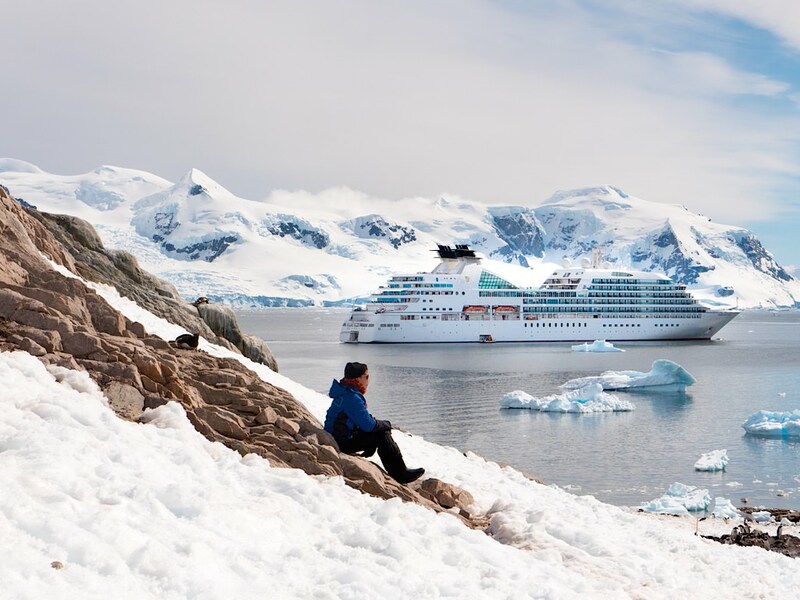 This is Antarctica at its best: a sunny day, snow-capped mountains all around, penguins waddling to and fro, the beauty of the still sea and the safety of Seabourn Quest just a Zodiac ride away. What surprised me to a degree, was the range of emotions I felt, and even now, I am unable to explain them. This place was so pristine, so beautiful, so innocent. I felt on the verge of tears at one moment. I’ve visited many places in my lifetime of travel but the sheer beauty of Antarctica overwhelmed me. For more than three weeks now, I’ve been posting a photo a day from my Antarctic voyage. When I began the series of photographs, I noted that Antarctica is a place that deserves space and thoughtful reflection. Nothing illustrates that better than this photo, showing us that a moment of serenity is still possible, even in this busy and bustling world.